Imported from Thailand, Dendrobium Orchids have long stems/ vines and multiple blooms per stem making them a perfect fit for special floral arrangements, centerpieces and bouquets. You will find many uses for Dendrobiums Orchids, use them to make corsages, table decorations and leis. 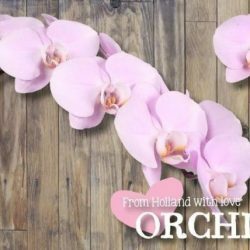 Buy Wholesale Bulk Fresh Cut Pink Dendrobium Orchids Flowers Online.